Seizure Tracker™ - Create detailed graphs of your seizure activity and surrounding treatment information. Create and share visualizations of your seizure activity over time! Most of the Seizure Tracker graphs have multiple time frame options (ie. day, week or month). 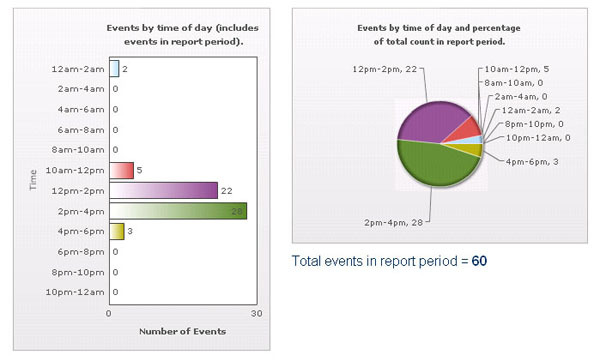 Along with these graphs the reports on SeizureTracker.com offer a concise listing of seizure events, medication dosages, daily notes, and much more.